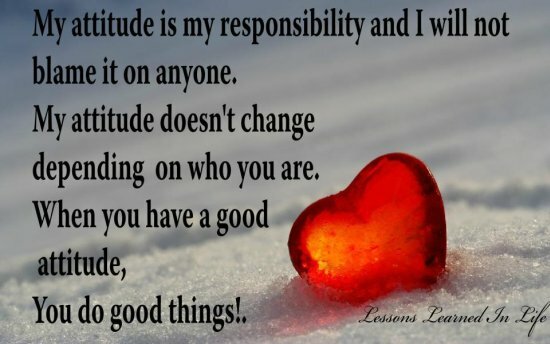 My attitude is my responsibility and I will not blame it on anyone. My attitude doesn’t change depending on who you are. When you have a good attitude, you do good things.